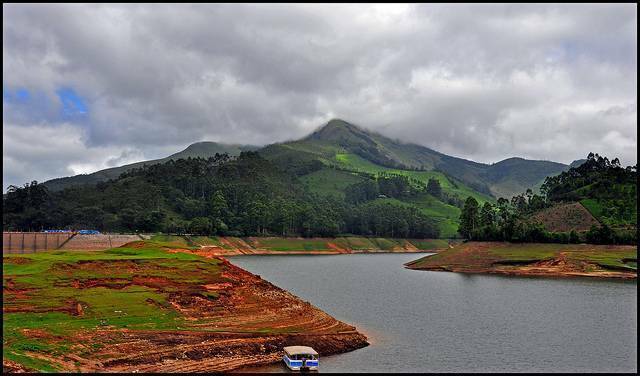 Mattupetty Dam ocated 13 km away from Munnar is a lake and dam is perched at an altitude of 1700 mts. Tourists planning to visit Top station can stop over here, as it is located on the route to top station. Tourists can relax a while glancing around the woody vegetation and green tea plantation. Variety of boats like speed boat, row boat and pedal boats are available here. There are small streams which leads you to the point from where it flows down as a falls. Bird watchers can catch a glimpse of rare variety of birds here. Shola forest which embraces the lake and dam is an ideal place for trekking.